Can Modi sarkar give DU a vice-chancellor without controversy? In 2014, when the Indian electorate handed Narendra Modi-led Bharatiya Janata Party a simple majority in the Lok Sabha, one expected the new government to act with a sense of independence which was clearly lacking in the case of Congress-led United Progressive Alliance (UPA) as it suffered from political fragility due to opposition from coalition partners. But so far instead of independence the Indian public has only seen this government act with brazenness. And in no sector has Modi sarkar been as brazen as it has been in the sector of education. It all began with the appointment of a political lightweight like Smriti Irani as the Union education minister. During the wave elections in 2014, Irani contested against Rahul Gandhi and finished a strong second in the intense electoral fight that ensued at battlefield Amethi which also saw Aam Aadmi Party (AAP)’s Kumar Vishwas woo the voters on account of his shayari and promise for clean governance. Like a large hearted boss, Modi appointed trusted aide Irani (who formerly opposed him on account of his alleged role in 2002 Gujarat riots) despite the fact that she failed to get the job done in Amethi by dethroning Shehzaada Rahul. But the problem is not that Irani lost the elections. Arun Jaitley too lost the Lok Sabha elections but has been handsomely rewarded as he lords over Union finance, corporate affairs and information and broadcasting ministry. The issue is that Irani might have faked her educational qualification under sworn affidavit. The matter is now before the judiciary and there can be no bigger embarrassment for an education minister if she is found guilty of having lied about her educational qualification. Secondly, Irani’s appointment as HRD minister was opposed by Modi bhakts like Madhu Kishwar who comes from an academic background. A ministry as significant as human resources development required a visionary who has proven excellence in academia or academic administration. Irani was none and neither is she someone with exemplary electoral records to her name. Her appointment was a farce and so far her term has also been nothing short of being farcical as no concrete steps have been taken to overhaul the nation’s much criticized education sector. 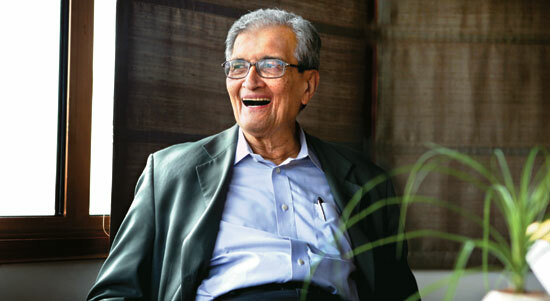 Following the HRD debacle, Modi government went in for a confrontation with Nobel laureate Amartya Sen. Harvard economist Sen not only quit as the chancellor of Nalanda University citing political interference but has also spoken out extensively in the media regarding the imposition of certain political thoughts by Modi government. That political thought is none other than Hindutva. That’s the reason why academics like YS Rao have been appointed to head the Indian Council of Historical Research. Such appointments are aimed towards the “fictionalisation” of history as termed by noted historian Irfan Habib. There is a great desire among Hindutva ideologues to rewrite history from a supposedly Indian perspective. Prime Minister Modi himself appears to be a part of the plot as he has mentioned how Lord Ganesha underwent plastic surgery to get an elephant head. Lokesh Chandra, a new recruit at the Indian Council of Cultural Relations, has gone one step further and called Modi a “reincarnation of God”. Such sycophancy coupled with tales of mythology concerning flying machines in ancient India has turned us all into a laughing stock infront of the whole world. The appointment of Gajendra Chauhan as the Chairman of Film & Television Institute of India (FTII) has made matters worse. Academic activity has been crippled at the Pune-based institute and the students are undertaking nationwide protests. These agitations should serve as a lesson for Modi sarkaar. In academia, merit matters and it cannot be replaced with right wing political affiliation or overt Hindutva leanings. The mess at FTII needs to be done away with the revocation of Chauhan’s appointment as chairman and the government should simultaneously ensure that transparency is maintained during the appointment of Vice Chancellor of University of Delhi during the coming months. 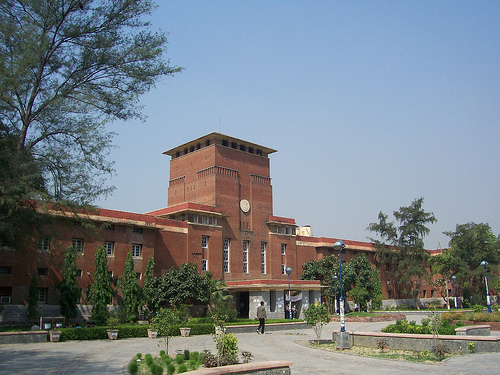 Delhi University happens to be the numero-uno university in the country, an accolade which was bestowed on it for the third consecutive year by India Today Group-Nielsen Best Universities Survey 2015. The affiliate colleges of Delhi University attract the best and most aspirational students from across the country. But DU has its own set of challenges. There is a need to develop parity between on-campus and off-campus colleges. Every constituent college of the university should be the flagship college of the varsity in its own way and that will require dogged development efforts on the part of the new vice chancellor. The V-C will also be responsible for taking Delhi University to the next level. The university should not be content with the tag of the best in the country. It should aspire to become the best in the world. It sounds like an impossible feat but a step in this direction has to be initiated at the earliest so that Delhi University at least breaks into the top 100 universities of the world. Very importantly, the new vice-chancellor should be a consensus builder. Outgoing V-C Dinesh Singh’s several initiatives failed to leave behind a mark (including his trademark Four Year Under-Graduate Program (FYUP)) simply because the consensus was lacking. It would be unwise to expect unanimity in terms of decision making but it is incumbent upon the vice chancellor to take academics and students along by devising a consultative proves that gives everyone a chance to be heard and express their opinion. Decision making should be democratic carrying the sanctions of the academic and executive councils. It should not be bulldozed with a sense of aggression and put into effect via usage of emergency powers. Lastly, it goes without saying, the new vice chancellor should be an academic of international repute. He should necessarily command a praiseworthy academic background and other essential requirements pertaining to research publications in international and national journals. His profile has to be impeccable and complete with years of academic experience in the realm of higher education. The advertisement for the post is out but if Modi sarkaar’s track record is to be believed, the new vice chancellor might not possess any of the qualities listed above. He/she will be appointed through a non-transparent process full of political interference and will follow the government’s diktats instead of maintaining the university’s autonomy. The new vice chancellor might not have many research publications to his credit but he will certainly be an unflinching advocate of Hindutva and a sincere BJP bhakt. The capital city might just witness a new round of protests. I hope not!